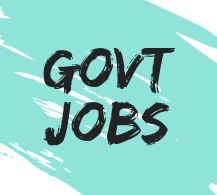 In this page of latest govt jobs we will share the notice of mppkvvcl recruitment 2018 with description about total number of vacancy, last date of apply, application fees and some other important information. Madhya Pradesh Paschim Kshetra Vidyut Vitaran Company Limited is currently have a vacancy for the 62 posts under various designations such as Junior Engineer (JE), Account Officer (AO), Assistant Manager (HR and IT). For the better understanding of students we will explain the education qualification of each post in a separate serial numbers. Diploma (Electrical / Electrical and Electronics Engineering). Good news ⇨ Candidates who has Engineering (B.E / B.Tech) degree in the above trade can also apply. Means ⇾ Both the diploma / engineering pass students can apply for the MPPKVCL Recruitment 2018 news letter. Serial Number 2) : Accounts Officer ⇢ CA / ICWA pass. Serial Number 3) : Assistant Manager (HR) ⇢ Candidate must fulfil anyone the below conditions. Graduation + Post graduate diploma. Serial Number 4) : Assistant Manager (IT) ⇢ Engineering Jobs (B.E / B.Tech) from any of the trade CSE / IT OR Master of computer application (MCA). Except education all the things are approx same, such as age, pay, application fees & other important dates.